After the snow had finished the penguins stood up and shook themselves, the chicks that had been sheltering under the parents were well and seem to be resenting the fact that mum or dad had stood up and weren't keeping them quite so snug any more! 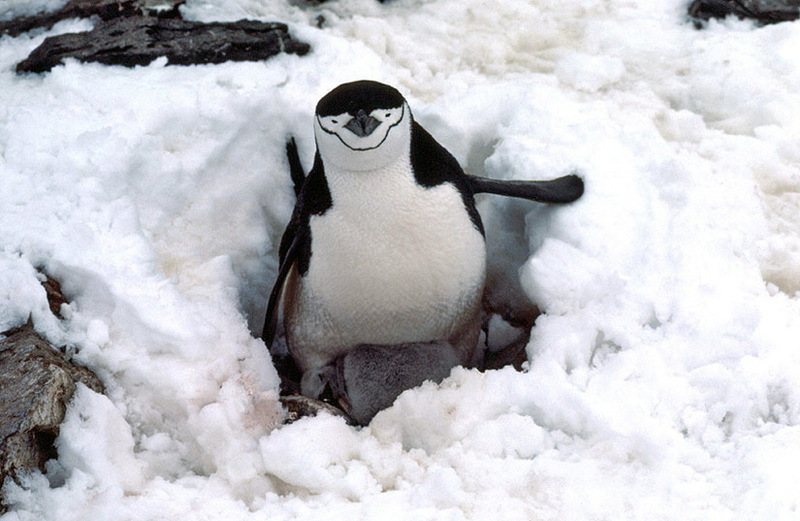 This parent is awaiting the return of its partner who will have been out at sea fishing for the krill that these penguins feed almost exclusively on, catching it further inshore than other penguin species. The parent that goes fishing fills themselves up on food and then collects extra in their stomach to bring back and regurgitate for the chicks.